Today is very special, here on Crunchy Creamy Sweet. So special that I made a cake for the occasion. I’ve teamed up with Tiffany from My Crowded Kitchen and Serena from Serena Bakes Simply From Scratch to bring you the Fabulous Friday! I have known these ladies for a while now and we have built quite the friendship. They always make me smile with their comments and e-mails. I always look forward to see what have they cooked up or baked in their own kitchens. And it is never disappointing! I wish I lived closer to these gals, so I could have a real afternoon tea with cake with them! Speaking of cake, this one is for Serena and Tiffany and for all of you! Join our party and link up! And then go make this cake – it’s delicious! Grease the bottom and sides of a 13″ x 9″ baking dish. Set aside. In a medium mixing bowl, whisk together the dry ingredients ( flour, baking powder, soda and salt ). Set aside. In a large mixing bowl, beat butter for 30 seconds. Add sugar and beat until light and fluffy. Add the flour mixture alternating with buttermilk ( start and end with the dry ingredients ). Spoon the batter into your pan. Sprinkle the blueberries on top. In a medium mixing bowl, combine the flour, sugar and cinnamon. Whisk together. Cut in the butter using pastry blender. It should resemble coarse crumbs. Sprinkle the topping over the blueberries. Bake the cake for 40 – 45 minutes, or until golden brown. Let cool in the pan for few minutes, invert onto a cutting board and cut. Now onto the party! Here are the rules for participating. We’d love for you to link up with us and share your family friendly recipes, home decor, tips, party ideas, crafts & DIY projects. We can’t wait to see all the yummy & fabulous things you bring to the party! Most importantly, it gives us a chance to meet you! We hope you’ll join us! If you would like us to feature your fab, the guidelines below must be followed. Please link up your exact post and not the main page of your blog. Please No Etsy or Giveaways. Link your post back here to Fabulous Friday, so that others can party with us too. Please provide a direct link in your post. If you will be sharing your fab with us, please be sure that you are following hostesses and ALL co-hosts by either RSS, google friend connect or e-mail. We would really like you to join all of us on both FB and Pinterest too! Not necessary, but we will share features and tag on FB. We will also share features on our Fabulous Friday Pinterest Boards. It’s so great to have foodie/crafty, FB/Pinterest friends who all support one another! This is so fun! I'll try to link up one of these Fridays. Heading out on vacation on Thursday and have a crazy weekend planned, but maybe a couple weeks from now. 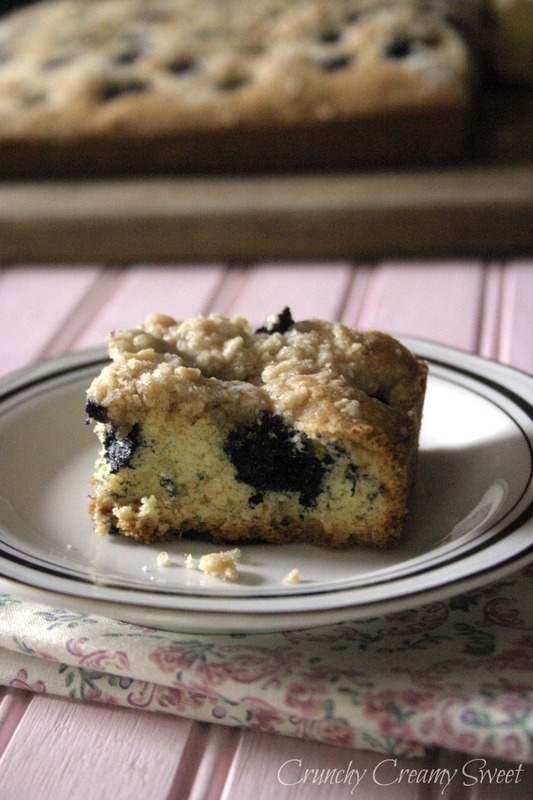 The blueberry buckle…oh my! Anna is a blueberry fiend, we buy a two pound carton from Costco every week and she eats them ALL. This would be a fun treat for her (and her parents for that matter!). Hope you had a fab weekend! What a fabulous treat and linky party! Everything here looks so delicious! Delicious! 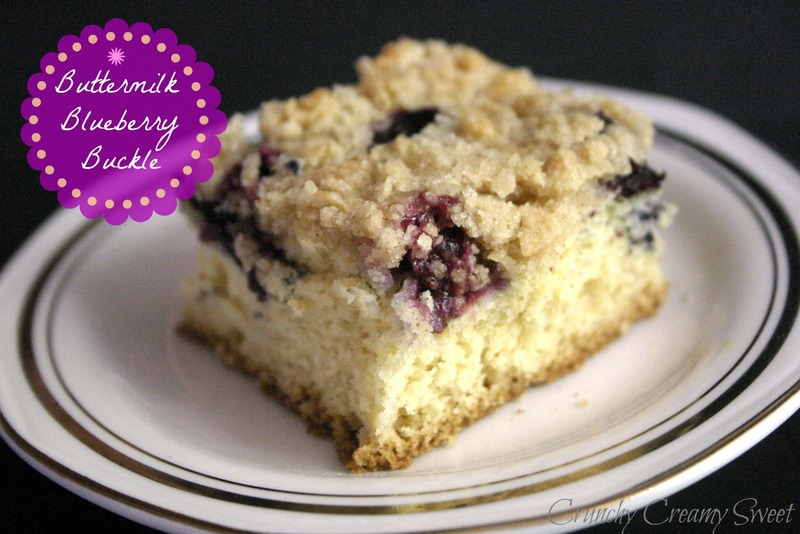 I love blueberry cakes with streusel toppings! I love any and everything with blueberries in the summertime. Your buckle looks right up my alley. Yum! Fabulous link up idea! Love this idea Anna! And thanks for the intro to those other two lovely ladies 🙂 I'm heading off to check out there blogs! LOVE your blueberry buckle too! When I think of summer that one of the first treats that comes to mind, looks awesome! This looks so good. What a nice idea to meet other bloggers through your link up. This sounds delicious! I can't resist anything with cruble topping and berries! Would love this with a scoop of ice cream! Thanks for hosting, I'm now following along! Following your amazing blog on GC. <3 and hugs! This looks wicked good. Love blueberries. Blueberries are my fav, how did you know 😉 this looks seriously tasty and would go great with coffee in the morning. 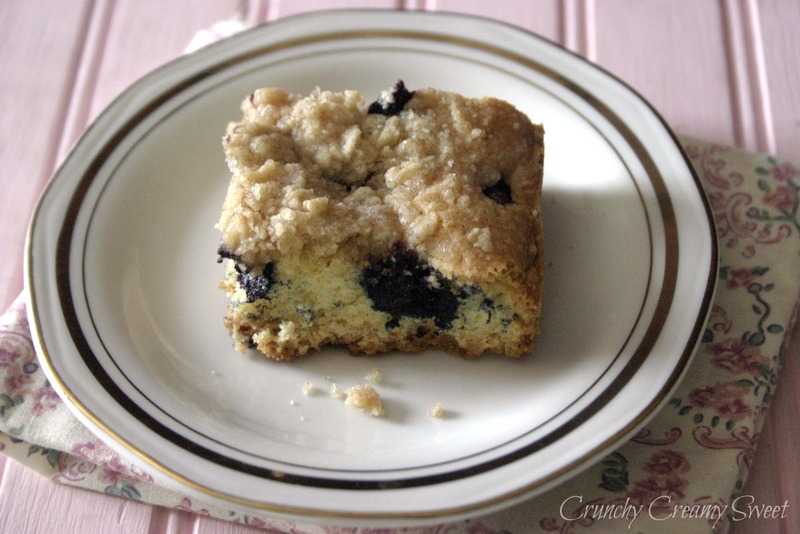 Your blueberry buckle look absolutely amazing and so tempting! Looks like great linky party! Have a great weekend! Anna, it looks delicious! I love blueberries and buckles too but have never had blueberry buckle. It has to be nice and moist with the buttermilk and I will be trying it soon. Thanks for the excellent recipe and have a good weekend!!! Well I always say that friday should go out with a bang and this linky party is a great idea. Your buckle looks like something I would really enjoy-probably more that one piece! Also, lots of tasty links at the bottom which is a bonus. Enjoy the weekend sweet friend! Now that looks fabulous. 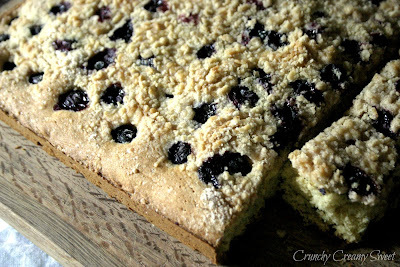 I had a recipe for a blackcurrant buckle which I used to make and it was delicious. Will have to see if I can dig out the recipe.